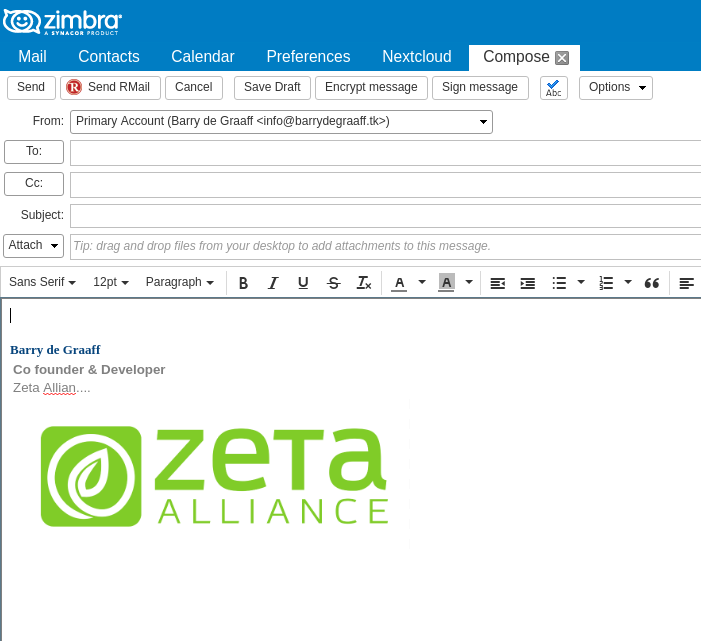 We found that a SysAdmin can deploy email signatures via zmprov, but when the user wants to edit the signature (with the company logo) it often breaks. This Zimlet allows the SysAdmin to provision a template for the signature for the users in a company. In a template a number of fields are defined, for example name, function and comments. When the user clicks the Zimlet that fields can be filled and the new signature is generated (with preview). The image and lay-out then always work. It works perfectly for us and our customers.